On 25 November 1888, Annie, aged 20, married George Talbot, aged 26, son of Henry Talbot and Susannah Hobbs, residence of Henry Talbot in Jamestown, South Australia . The minister was John Gillingham and the witnesses were John Talbot, labourer of Jamestown, brother of the groom and Emily Faggotter, the bride's sister, from Hallett. Walter David Talbot was born on 4 November 1891 in Beetaloo, near Crystal Brook, South Australia , son of Charles Talbot and Ellen Bradock. Walter was buried in the Crystal Brook Cemetery, Crystal Brook, South Australia , in grave 655A. Jeffrey James Lovell Talbot was born on 10 May 1889 in near Hallett, South Australia , son of George Talbot and Annie Faggotter. In 1967 Jeffrey was living at 69 Cockburn Road, Jamestown, South Australia . In 1967 he was a Wood Merchant. He died from chronic renal failure, congestive cardiac failure and broncho-pneumonia. Merriton George Surrey Talbot was born on 19 April 1891 in Hallett, South Australia , son of George Talbot and Annie Faggotter. 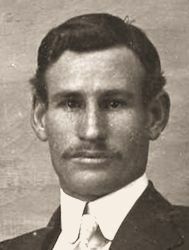 Walter Hillary Talbot was born on 8 December 1895 in Hallett, South Australia , son of George Talbot and Annie Faggotter. This man was signaller to the Artillery Liaison Officer during the operations of 29th/30th September 1918 when the HINDENGURG LINE was broked (sic) before BELLICOURT. All the rest of his party were killed or wounded early in the operation, but he stuck to his duty and succeeded in establishing and maintaining communication back to Brigade Headquarters in spite of the heavy shell fire which continuously severed the lines, until reinforcements came to his relief. Previous to this he acted as runner to his battery bringing back essential information as to the location of the enemy. 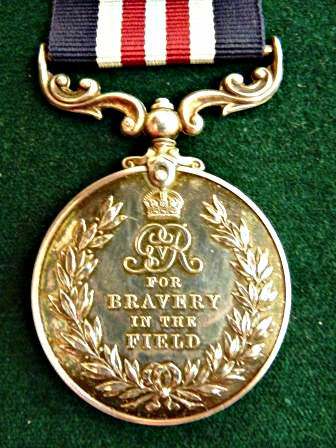 His conduct throughout the operation was distinguished and courageous. Edgar Charles Henry Talbot was born on 26 January 1898 in Oodlawirra, South Australia , son of George Talbot and Annie Faggotter. He died on Sunday, 9 September 1979, aged 81 years, 7 months and 14 days, at 17 Queen Street, Peterborough, South Australia . Mildred Susannah Talbot was born on 21 May 1900 in Hallett, South Australia , daughter of George Talbot and Annie Faggotter. She died on Tuesday, 12 March 1929, aged 28 years, 9 months and 19 days, in Kooringa, South Australia , of organic disease of the heart and double pneumonia. 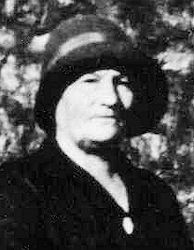 Esther Annie Alma Talbot was born on 20 August 1904 in Hallett, South Australia , daughter of George Talbot and Annie Faggotter. Perry Gordon Talbot was born on 8 September 1906 in Hallett, South Australia , son of George Talbot and Annie Faggotter.